Check out these 4 ply letterpress wedding invitations that we made up for Laurie & Ross’s big event! These letterpress wedding invitations and reply card were both made using a rich slate black ink on a 4 ply Crane’s Pearl White Lettra. We then rounded the corners in order to give them a nice pillowy soft look and feel. 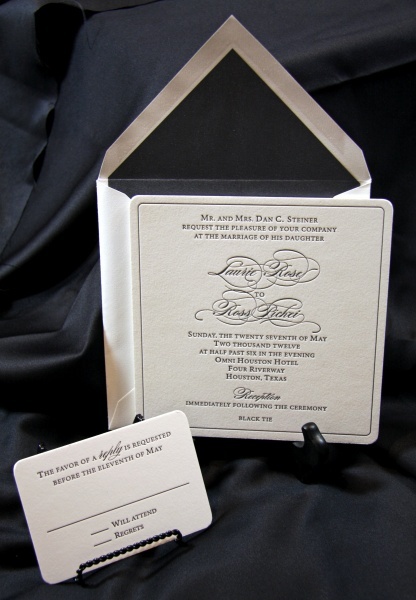 We also designed a matching black and cream envelope to really seal the deal!